Even though we had a less than impressive experience at Din Tai Fung in Seattle, we have not given up on our quest for tasty 小笼包 xiaolongbao (steamed soup filled dumplings). 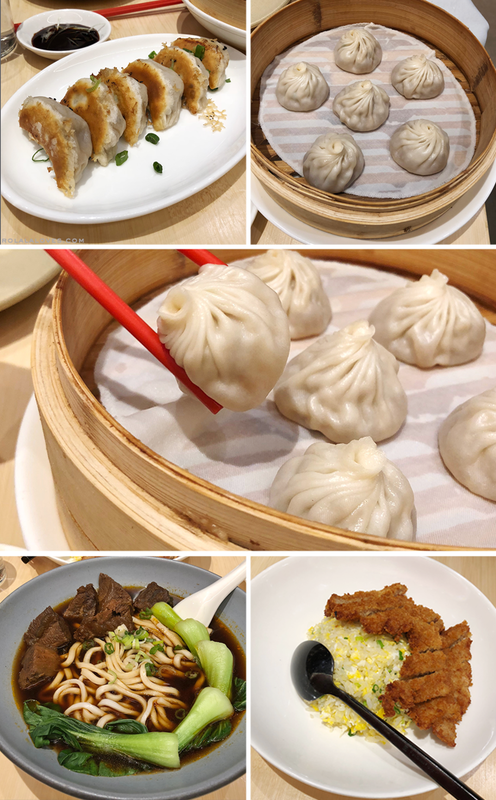 Pinch Chinese has a connection to the popular Taiwan founded chain by way of executive chef Charlie Chen, who helped to launch all eight of Din Tai Fung's Shanghai locations. The name is a nod to the way dumplings are made. The restaurant is located on Prince Street just a few blocks aways from the bustling shopping scene of West Broadway in Soho. 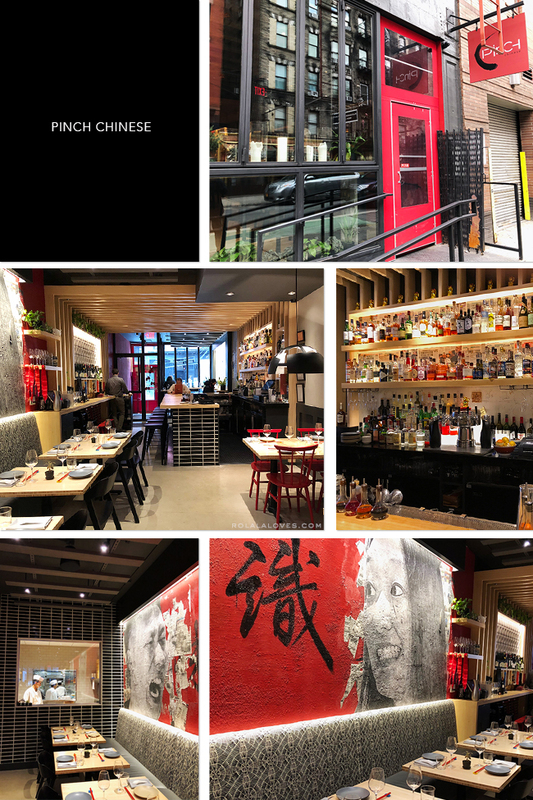 With a full bar in the front, the well lit, long narrow blonde wood accented space is punctuated by playful graphic decor touches and a window into the kitchen where one can observe the dumplings being made with deft precision (very Din Tai Fung!). We ended up at Pinch Chinese for an impromptu lunch during which they offer a prix fixe that includes a choice of dumplings and a main course. We ordered the classic pork xiaolongbao and pan fried beef dumplings. The measure of a good xiaolongbao is as much about the taste as well as the delicate balance of the skin being strong enough to not break when it is picked up but also being thin enough to not overwhelm the fillings. The xiaolongbao here passes that test and they were delicious. The filling was juicy and flavorful and you could taste the quality of the organic ingredients. The pan fried dumplings were good as well. We also tried the beed noodle soup and Niman Ranch pork chop fried rice. The beef noodle soup was full of flavor, the noodles were satisfying toothsome and the beef was so tender. It was also nice that they included more than a few pieces of Shanghai bok choy. A lot of places skimp on the vegetables in this dish for some reason. The best thing about the fried rice was the breaded pork chop which was really crisp and light. The fried rice itself was good but nothing special. My husband and I both agreed that I make better fried rice. It was a satisfying meal overall and the service was prompt and attentive. 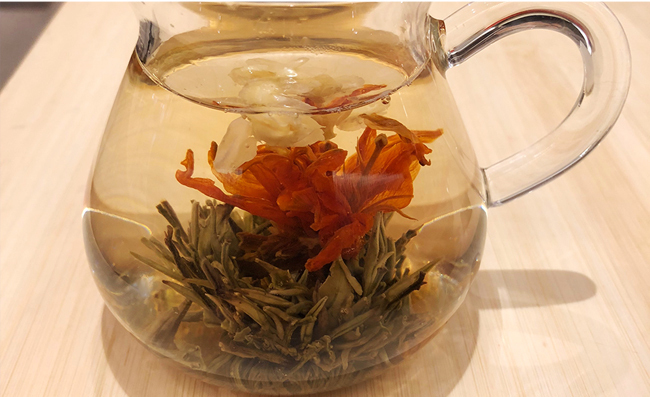 Our waiter always made sure that my flowering jasmine tea had enough water throughout. Pinch Chinese bills their cuisine as "Chinese comfort food" and I would say that is somewhat accurate but their take on it is definitely modern versus traditional. It also more of an upscale establishment so if you dine here don't expect Chinatown portions or pricing. We agreed that we would eat here again but stay away from anything I can make at home. They have a bacon, egg and cheese dumpling on their menu which sounds odd yet so intriguing. It looks delicious for sure, and your tea is so pretty to look at! You don't really get tea presented like this in Germany. Oooooo...that beef noodle soup....nomnomnom....And I like how they do the jasmine tea, chingu. Seriously...with all the great places to eat there in NYC, I'd be so overwhelmed with the choices! This sounds like a great restaurant! Have a great weekend Rowena! Mmm i love a good xiao long bao and definitely can't make that at home! We just had Din Tai Fun fried rice and are always wondering how it's so delicate and perfect. Do you follow a particular recipe? DTF also has amazing rice so I'd begin with that. I've been lamenting that there is no Ding Tai Fung on the east coast, but that's awesome that this restaurant is by the same chef who launched the chain in Shanghai! Saving this place for the next time I'm in NYC, thanks for sharing! I love when you review restaurants Rowena :) especially Chinese restaurants. I realize I’ve gained 20 pounds over the last few years because I’ve been devouring Chinese food ALONE for the past 2 years. It’s a nasty habit and one I’m vowing to give up NOW. But man oh man is it hard. I’m a huge fan of Dim Sum :) Wow the pork chop friend rice looks divine :) I love flowering tea, it’s so beautiful and tasty. The one that really caught my attention is the beef noodles soup, I could almost taste it in my mouth. This place sounds delicious and glad it didn't disappoint. That tea is giving me life girl! But everything else seriously looks delish as well. You go to the best restaurants Rowena!!! Oh this looks soooooo good. Wish I knew about this place when I worked in Soho. Oh I miss this neighborhood. This place sounds excellent I am going to have to note this for the next time I am in Soho. 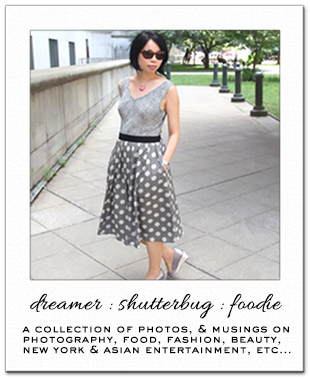 And love your photos as usual. The food looks delicious Rowena. I love the restaurants decor. Looks like a great place to dine in! Sounds like a great find. Those beef noodles look so good. Whenever I get Chinese I always notice that if there's some sort of meat in the dish (which there almost always is) then they end up skimping on the vegetables. This is just something I always notice and thought it was interesting you mentioned it too.